A revitalized Stanley A. Milner Library will better serve our customers, and help build a thriving and vibrant downtown. It’s 1967, an Edmonton Public Library children’s membership costs five cents and an adult one is only a quarter. The downtown library has an artwork rental service, a smoking room and a petting zoo. Futuristic gadgets like a Xerox copier, four-track tape recorder, Kodak camera and label maker boost the feeling of innovation. 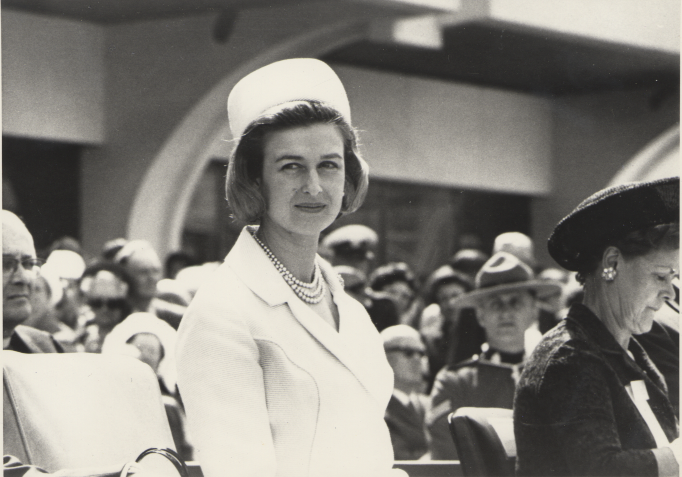 The Centennial Library opened to much fanfare on May 27, 1967 – Princess Alexandra of Kent and her husband Sir Angus Ogilvy attended, and were given a tour following a concert in the lower-level theatre. Fast forward to 1996 when the Centennial Library was renamed after local businessman and library supporter Stanley A. Milner. A children’s library opened in 2010 named after his daughter, Shelley. 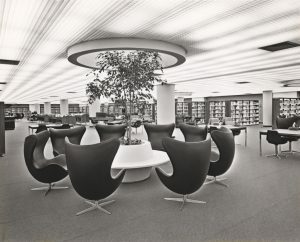 Over the past 50 years, EPL’s downtown library has continued to be a center for ideas and innovation. In 2011, EPL partnered with Boyle Street Community Services to launch an outreach program when an increasing number of people were seeking refuge in the Stanley A. Milner Library. The program helps to empower at-risk Edmontonians through literacy, education, connections and social support. The EPL Makerspace opened in 2014 to provide customers with opportunities to learn, create, collaborate and discover with free access to leading-edge and emerging technologies. As EPL’s most visited location and an anchor in the downtown core, services like this are vital in creating a city full of lifelong learners. Today, the Stanley A. Milner Library is closed for a three-year, $69 million revitalization. During the construction, which will wrap up in 2020, there is a temporary downtown branch at Enterprise Square. 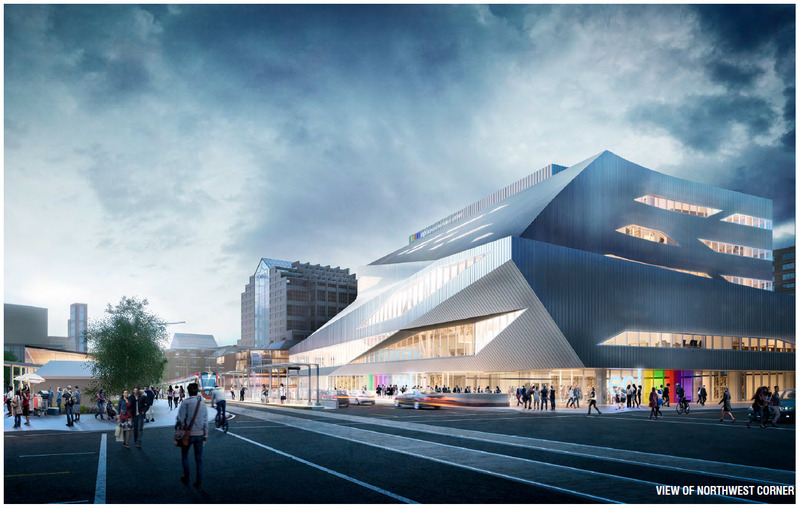 While Edmonton has had a downtown library for well over 100 years, it’s fitting to celebrate the past 50 years of the Centennial Library by looking ahead at what we are most excited about in a transformed Stanley A. Miner Library. Even more space for making and creating: We are expanding opportunities for hands-on experiences with technology by growing our makerspace to10,000 square feet for digital creation, including 3D printing, sound and video production, robotics, as well as new opportunities for light fabrication. A multi-storey interactive digital-display and simulation wall: A showcase for immersive learning and large-scale multimedia presentations. A fabulous new children’s library: A children’s library that is more than three times the current space with hands-on STEAM (Science, Technology, Engineering, Arts and Math) activities like coding, robotics and digital creation, and an indoor play area. 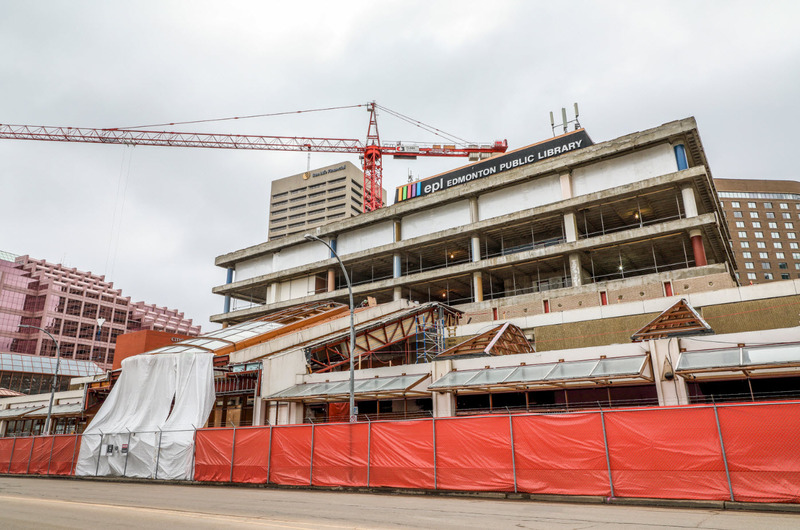 An iconic building in the centre of our city: The contemporary new building will be a showcase in a thriving and vibrant downtown with more natural light, comfortable seating and quiet study areas. A place for all people: With all the great changes planned there is one thing that will remain: the Stanley A. Milner Library will continue to be an open and welcoming place that inspires creativity, spurs imagination, and fosters lifelong learning each and every day. What are your favourite memories of the building over the past 50 years? What are you most excited about? Share your thoughts with us on Twitter using #Milner50! In the meantime, you can help us raise the $10 million needed to make this entire project possible! Donate now! Want to see the construction progress? View the Milner Live Cam now!